On September 20, Hu Ge (胡歌) turned 36. The Nirvana in Fire <琅琊榜> star did not forget to leave himself a birthday message on social media while also thanking the fans for their kind and thoughtful messages. Yet another birthday was spent with work, but Hu Ge hasn’t lost his fighting spirit at all. Thousands of fans left behind birthday wishes, including Hu Ge’s Nirvana in Fire costar Leo Wu (吴磊). “Hu Laoda (boss) happy birthday,” wrote Leo. Leo’s endearment for Hu Ge has brought back many memories for fans. Known as the “Nation’s Little Brother”, Leo made his debut when he was barely 7 years old. 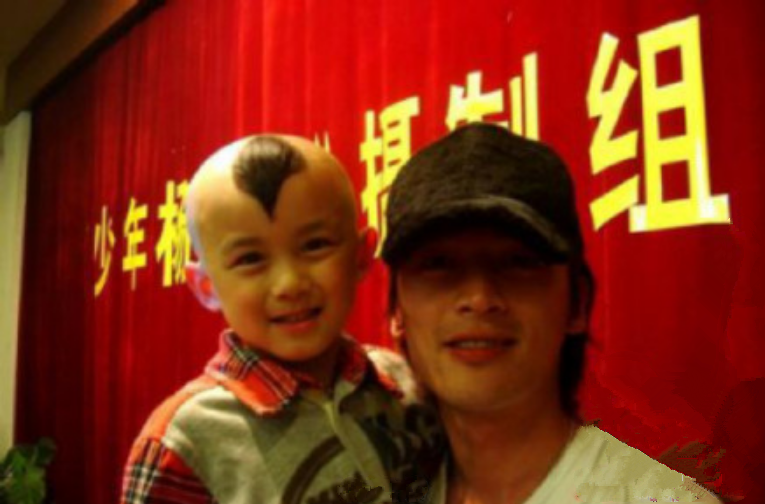 One of his very first television dramas was 2006 The Young Warriors <少年杨家将>, which Hu Ge starred in. Hu Ge played Yang Yanzhao, while Leo played his younger version. 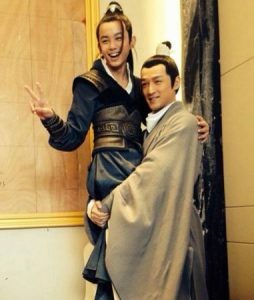 In 2015, the brothers came back together again for Nirvana in Fire, and their strong bond and chemistry on the show have left a lasting impression on viewers. 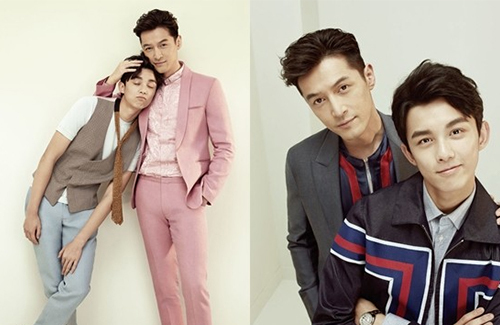 During a photoshoot session for the drama, Hu Ge and Leo recreated a photo they took together 12 years ago for The Young Warriors—but this time, Leo is all grown up. It’s always refreshing to see updates on Hu Ge, my favorite. He’s full of wisdom, a good heart, and humor. One of my fav drama. Love the bromance! Hu Ge is so charming!